Here at Dads Stuff we love to get opinions from as many people as possible, as expected, it’s not hard to get opinions about beers. So, we’ve got two new faces reviewing beers for us… Andy and Dan. Andy picked an unusual tipple for his first review, and here it is! For my first beer review I decided to have a go at an alcoholic ginger beer. Now, you may be picturing a tall sundae glass filled with chilled ginger beer, dollop a scoop of vanilla icecream on top, two straws as a teenage couple share the drink whilst listening to songs on the jukebox…or whatever it is the young kiddies do these days. But don’t be fooled; at 8% alcoholic volume, Ginger Joe is no child’s play and shouldn’t be lumped in with the likes of Breezers or Passion Pop. 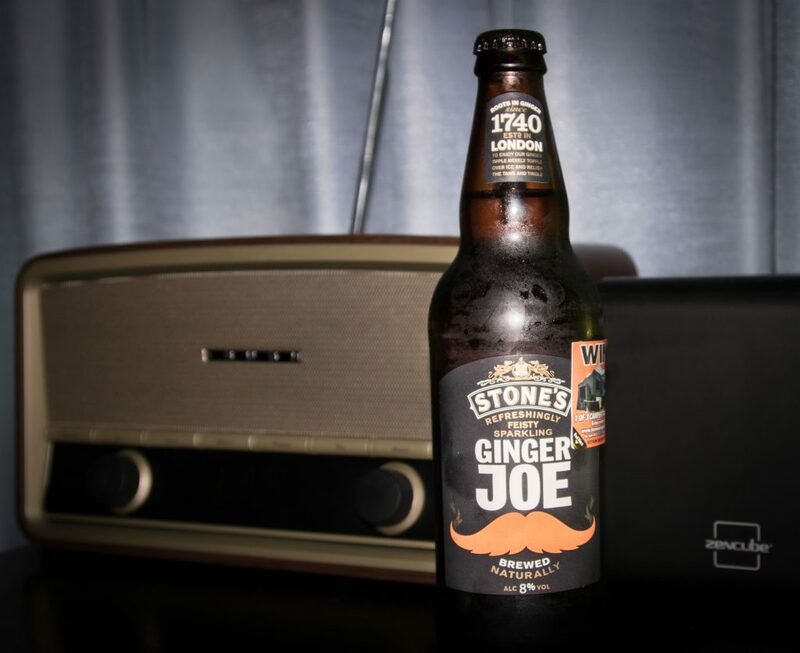 Stone’s have been around for many, many years, and at one time their alcoholic ginger beer was the only one of its kind you would find on the shelves of your local bottle shop. But as the palates of beer drinkers have evolved and their minds opened to a myriad of possibilities, Stones have had to lift their game. Hence Ginger Joes (although since it is based on fruit wine and has no beer content maybe this was an odd choice for my first review…). Unlike its fellow alcoholic ginger beers, Ginger Joe is not too sweet, therefore allowing for its consumption longer into the night without becoming too sickly (but enjoy responsibly, of course…keep in mind its 8% punch). And unlike a cider – which I consider more a drink to be enjoyed in summer – Ginger Joe can be savoured all year round, maybe as an accompaniment to a hearty pub lunch or Sunday roast. I didn’t find the sweetness or the ginger tang overpowering, but then I’m comparing it to other alcoholic ginger beers rather than beer. Also, considering I have a sweet tooth, maybe that’s another reason I didn’t find the sugariness overpowering. It actually tasted like an alcoholic drink rather than a soft drink. If you prefer your beer bitter then maybe skip Ginger Joe (or grab yourself a dainty 7oz glass to at least have a taste), but if you’d like to try something different without walking through the ‘alcopop’ aisle of the bottle shop, then give Ginger Joe a go. You can read more about Ginger Joe right here.